Kanak Palace is a welcoming and cordial hotel for travelers located just 10minutes away from the IGI airport. Indian Air Force Museum and the Aravalli Biodiversity Park are situated 15 minutes away from this property. 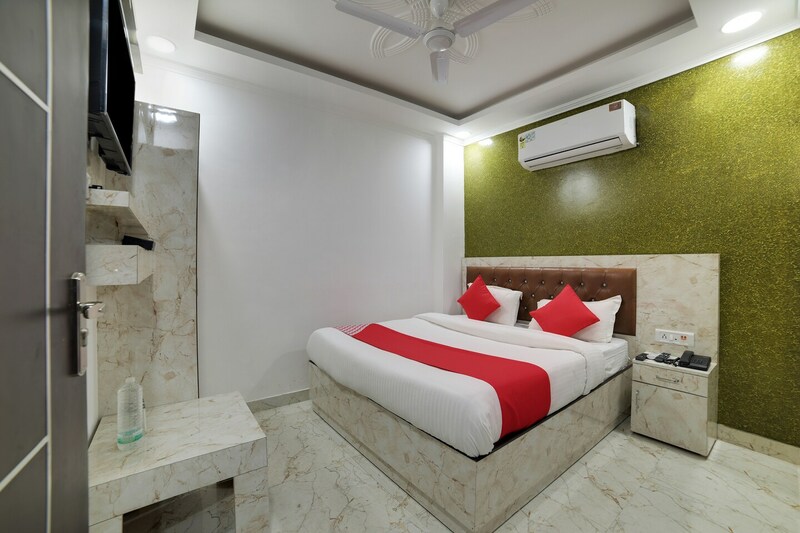 The top amenities that are provided in this hotel include King Sized Bed, TV, AC, Power backup, free and secured Parking Facility. CCTV cameras are also located at various corners of the hotel. The rooms of this hotel are spacious and the walls are painted in pleasing colors. One can explore several premium eating joints nearby.